PITTSBORO, N.C. (April 16, 2018): East Side Auto Transport Pro Outlaw 632 will now be contested at all events on the PDRA tour thanks to new event sponsors. Jarvis Marine will present Pro Outlaw 632 for the May 3-5 event, the North-South Shootout at Maryland International Raceway. C&C Pumping Services stepped up for the Summer Drags and Edmunds Metal Works will present the class at the Super Strip Nationals as the PDRA visits National Trail Raceway for the first time. Pro Outlaw 632 returned this year with great enthusiasm. Class sponsor East Side Auto Transport has been a major influence in the class taking off with the PDRA. Now, many new teams have formed specifically to run the class. Other teams have transitioned from Top Sportsman or other categories to take on the more affordable heads up realm of the category that originated in Florida and has grown to have national impact. Jarvis Marine is a marine dealership in Little Egg Harbor Township, N.J. They are an authorized dealer of well known brands such as Cape Craft, May-Craft, Yamaha and more. Jarvis Marine offers wide selection, as well as maintenance and customization options. Owner Tom Jarvis has fielded cars in Pro Outlaw 632 and is showing his support for the class by sponsoring the North-South Shootout in Maryland. For over 20 years, C&C Pumping Services has been pumping concrete to hard to reach places. They currently maintain a fleet of 33 boom pumps, ranging in size from 28 to 61 meters, in addition to hydraulic trailer pumps, placing booms and other equipment that helps make them a choice or commercial, highway, industrial and residential construction projects. The company has offices in Groveland and Tampa, Fla. 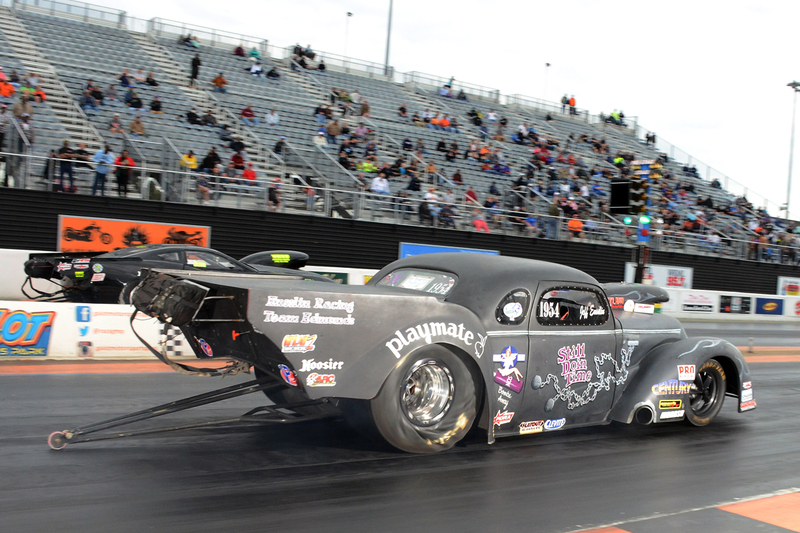 Owner Chris Holdorf competes in Outlaw 632, having seen the class grow and expand from its Florida roots to its current level and will take the class to US 131 Motorsports Park for the PDRA Summer Nationals. Edmunds Metal Works, with owners Tom and Matt Edmunds, own the Pro Outlaw 632 cars driven by Jeff and Jordan Ensslin. The company is further increasing its support by sponsoring the Super Strip Nationals at National Trail Raceway. This year marks the company’s 40th anniversary as a full service center for custom sheet metal fabrication. They specialize in golf cart and industrial vehicle products. In addition to these event sponsors, Chassis Engineering is presenting the Pro Outlaw 632 Low ET Award at each event this year. Chassis Engineering has built several cars for drivers in the class, including one driven by PDRA Tech Director Ken Kershaw. With a slogan of “From roll bars to complete cars, we build what we sell,” Chassis Engineering manufacturers high quality, state of the art chassis, suspension and driveline components for drag racers, hot rodders and high performance car enthusiasts.